Starting January 1, 2011 every 8 seconds a baby boomer turns 65 years old totaling 10,000 boomers a day turning 65! 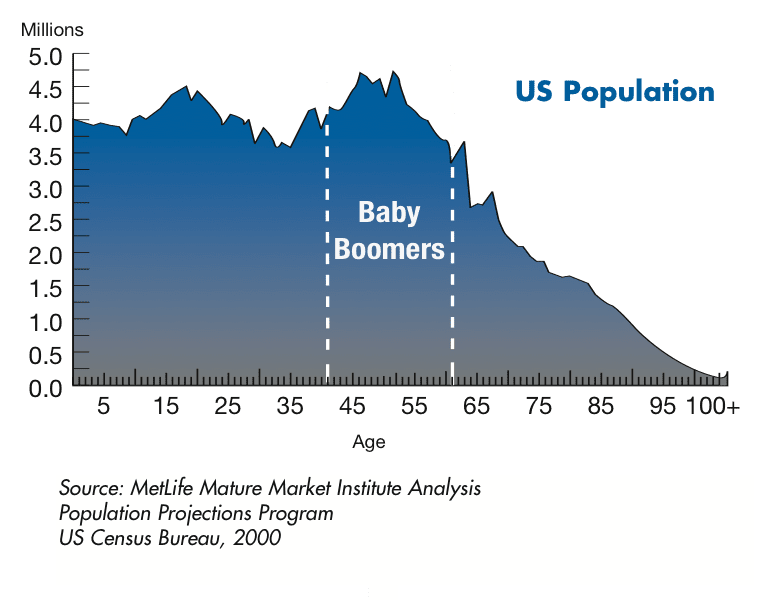 By the year 2030, the baby boomers will be ages 66—84 and make up approximately 20% of the total population. If you are a baby boomer, YOU are part of a powerful voting demographic in this country!